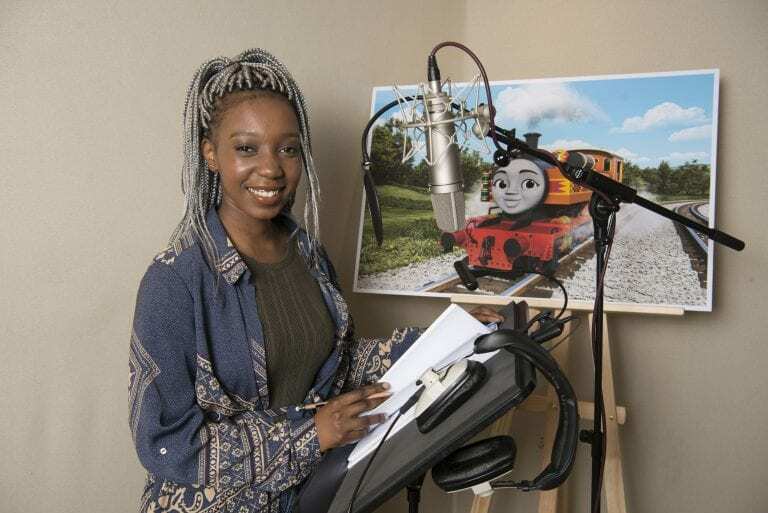 BA (Hons) Acting graduate, Yvonne Grundy graduated in the summer of 2018, at which time she had already landed a major part in a new Thomas and Friends film, Big World, Big Adventures, voicing the Kenyan train, Nia. We caught up with Yvonne to find out about life post-AUB in the acting industry. What have you been up to since you graduated? “I graduated in June. A week after my graduation I went to the Thomas and Friends Big World, Big Adventures premiere at Leicester Square, that was really incredible. I then went back home to Kenya for a bit of a holiday and spent some time emailing agents looking for an agent and luckily, I got myself one quite quickly. And so, I guess the fact that you attended the premiere for Thomas and Friends means you had already started working on the film before graduating? I got my audition in the second to last term. So, I was recording for the film, going backwards and forwards between Bournemouth and London to record and then coming back to do my uni work. Was it hard juggling uni life and work? I was lucky enough that my last AUB show was in January and I was actually crewing on the final term show, Oh What a Lovely War. Only a few people knew (about the role in Thomas and Friends). None of my peers knew, only my tutors did, and they were really lovely – they said it was fine if I needed to go and were really helpful when I came back and needed to catch up, letting me know what I had missed. 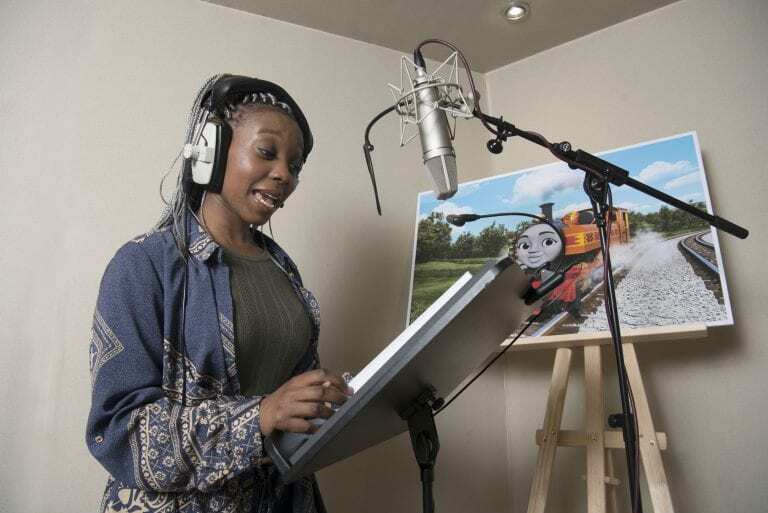 What was the process for getting the role in Thomas and Friends? It was the second to last term and I was in the process of rehearsing for our negotiated project when I got a message on my LinkedIn. I decided to wait until I got home to look at the message, and it was from the producer of Thomas and Friends saying that they had an opportunity and thought it would be really good if I auditioned for the role. She asked if I had an email address they could contact me on – at that time my LinkedIn was not even fully completed, I didn’t even have an email address on there or anything. So, she invited me to come for an audition and I think I went the week after on a Wednesday – I auditioned and came back to Bournemouth on the same day. The next day they emailed me and asked if I minded coming in for a call-back. The whole process from start to finish took a week. So, it was really quick then? Yeah it was really quick! 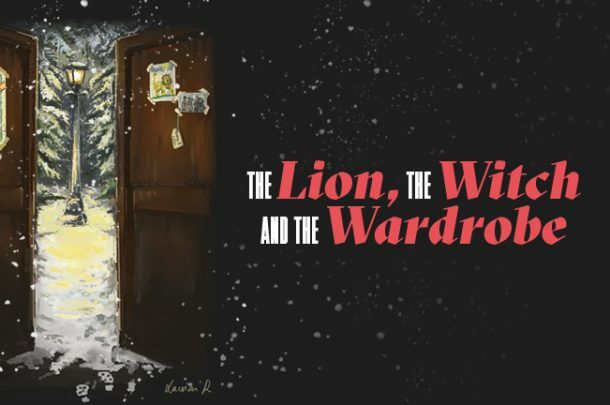 They hadn’t found a voice for the character yet and it was quite late in to the process. Usually people record for about an hour and a half, but when I was going in to record, I was doing four-hour sessions because they got me in really late and they had so much for me to do before the film came out. Had a lot of the parts already been voiced before? Yeah, a lot. I had to do ADR (Automated Dialogue Replacement) and there was another actress who did the voice so that the animators could animate the character. I then had to speak over her voice but in a Kenyan accent, trying to keep the same motion. It was quite difficult but I think I managed, everyone was really nice and there was no pressure on me to do anything in a certain time frame, it was just a really nice process. How did you find your time at AUB? I really really enjoyed my time at AUB! I think mostly because acting is the course that I really wanted to do and I knew that from the beginning. The tutors and the people on my course had a really great bond and relationship. I admired the tutors because they had all worked in the industry, so knew exactly what they were talking about and everyone had their own style and approach. It was easy to look at a tutor and think ‘this is the tutor I relate more to, I can do what this person is saying because I get it’. Also, all the tutors are so supportive of you and very friendly, it was just such an amazing time. 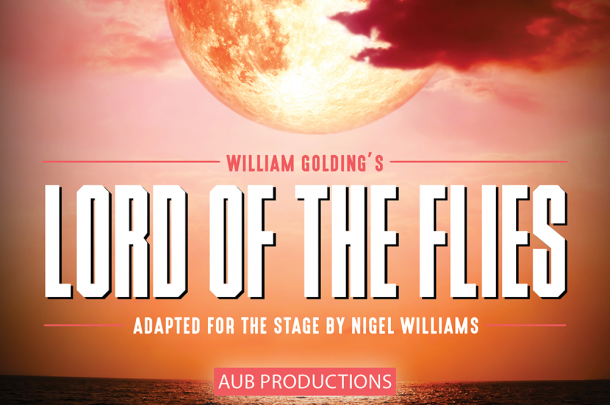 They have obviously contributed to the actor I am now, I had a very lovely time at AUB. Also being near the beach was nice, especially when we had lessons at the pavilion and when the weather was nice, we could go outside after the lesson and do our notes on the beach. It was a really really great time. 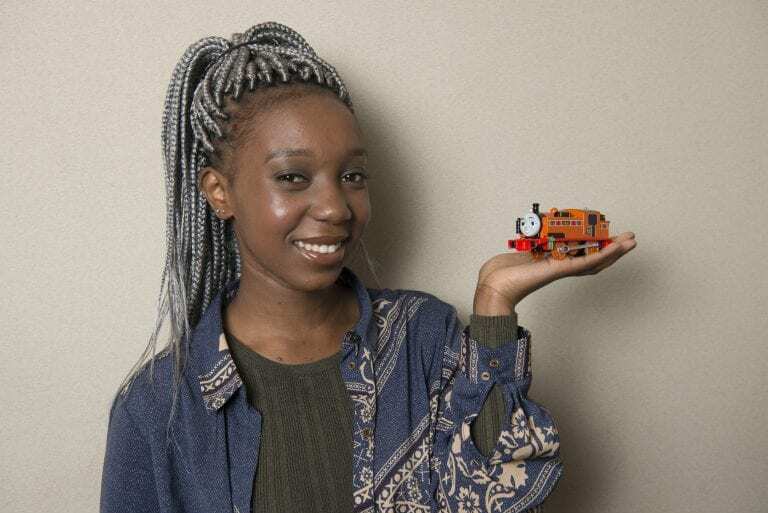 Your role in Thomas and Friends has come at a time where they have been making a lot of changes, especially in regards to diversity and adding in two new female characters. It must be exciting to be part of those changes? Yeah it really is! I think now I can look at it and see what a brilliant thing it is, at the time it was very manic and I was doing loads of things, it was very much do an interview for this, do an interview for that, record this and I didn’t see it because everything was going on at once. Now looking back, I see what an amazing thing it is to be part of. They work closely with the United Nations. 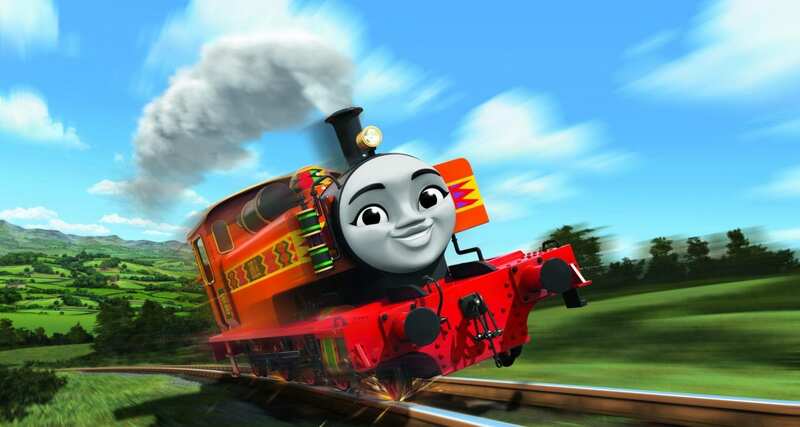 Thomas goes around the world in the film and it’s a brilliant opportunity to get people from China to voice the Chinese characters and obviously Nia from Kenya. 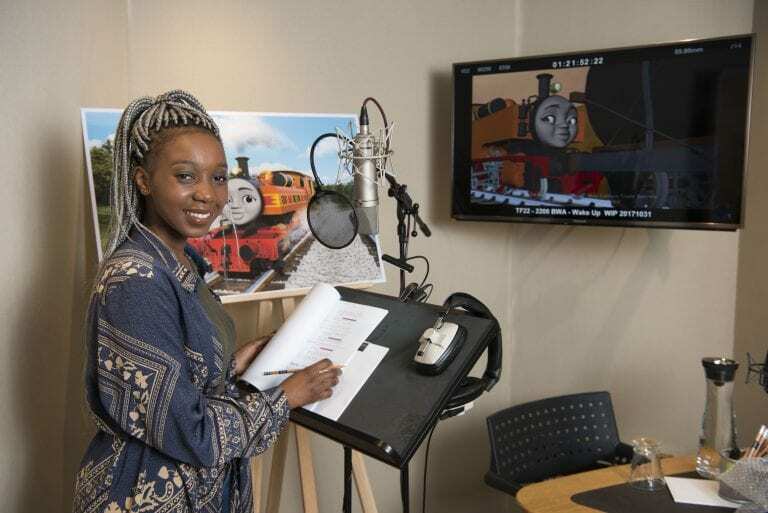 I also got to meet the actress who voices Rebecca, the other new female engine, and it’s just amazing that the cast is getting diverse in terms of women and in terms of engines from other countries. I think they did a really good job and I am really excited to be part of it. What would your ‘one piece of advice’ for future actors be? Oh wow. I think for me what I have learnt is that your time will come. So, in the meantime it’s all about honing in your craft and learning to work on yourself, so that when your time comes, you’re able to shine and be the best version of you. Learn to look out for one another in the industry if you see a role that someone would be good for send it to them let them know, keep up the positivity. 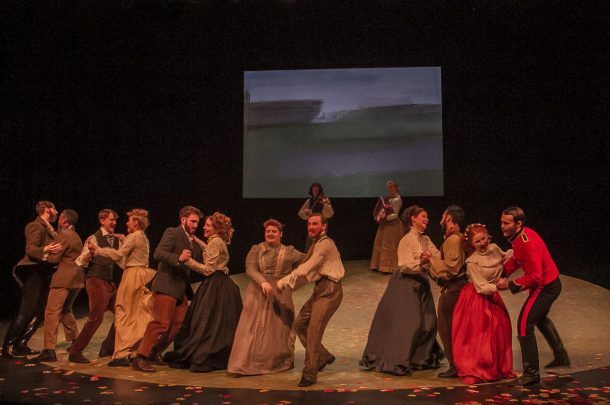 You can find out more about studying BA (Hons) Acting here.